This summer the sidewalk trees here will be stressed. The sun beats down during the long, hot days; also its heat reflects back from the pavement. People bake and choke on bare sidewalks. 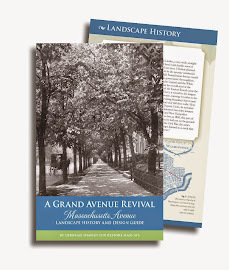 Likewise, the root systems of sidewalk trees need all the water they can get plus exchanges of fresh air. 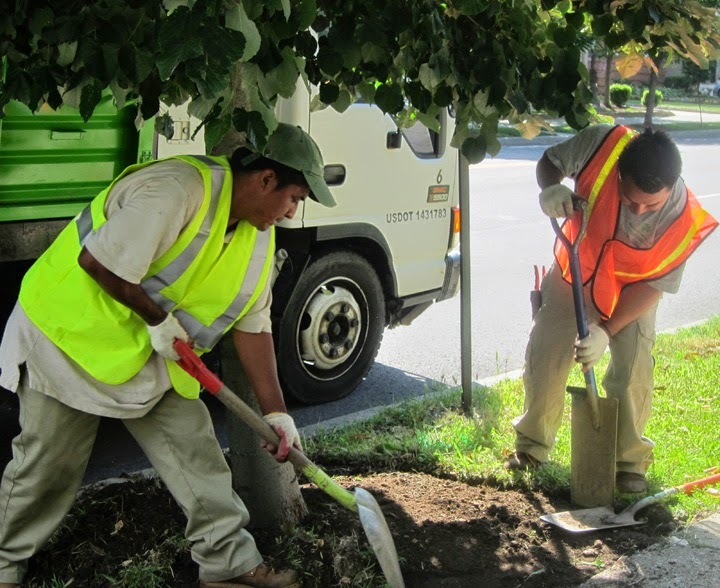 RMA hired Professional Gardens LLC to yank weeds, grass and debris away from 33 important sidewalk trees on Embassy Row. How much weedy dirt can 33 trees have messing them up? More than one truckful, it turned out. 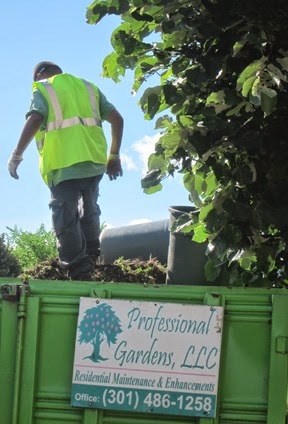 The crew spread shredded hardwood mulch - but thinly, so water from rainfall and hoses can flow easily to each tree's base. Please pass here and see model, flat mulched squares around these trees. In this video proprietor Ricky Fuentes shows how to do it. ---RMA will be reminding local owners to water the trees, 25 gallons per week, until fall. As the weeds start up again, we'll remind owners to pull them out so the trees will fare better.